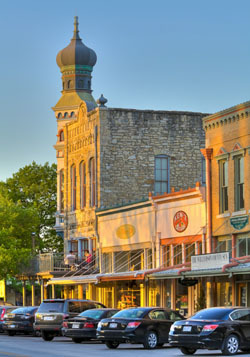 Established in 2003, Ken'z Guitars is family owned and operated music store located in beautiful, historic downtown Georgetown, Texas, just a 30 minute drive from the Music Capital of the World, Austin Texas. But don't let our intimate size fool you. Our prices are highly competitive with any music superstore. 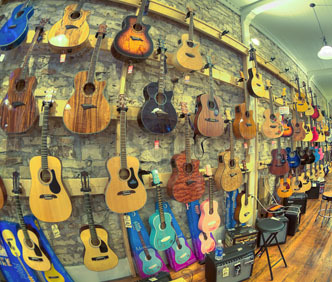 We carry an impressive inventory of electric and acoustic guitars, bass guitars, mandolins, keyboards, drums and percussion, saxophones, trombones, horns, strings, flutes, amps, mixers, microphones, and accessories. Ken'z is the area's #1 source for band instrument rentals. Ken'z Guitars also offers guitar lessons, piano lessons, and music lessons for just about any instrument. Our highly skilled and experienced instructors are available six days a week to help you reach your fullest potential and play your best! Contact Ken'z Guitars today to schedule your music lessons. We are a full service repair and maintenance center too! Ken'z Guitars - Where music is our passion — Fair prices and service our promise.